At the first full month of demonetization, India posted upbeat trade data for December 2016. Merchandise exports rose 5.72 percent YoY to $23.88 billion, imports remained flat at $34.25 billion, leading to a sharp fall in trade deficit to $10.37 billion, down from $11.50 billion in December 2015 and $13 billion in November 2016. Gold imports dropped 48.49 percent to $1.95 billion from $3.80 billion in December 2015. In November, gold imports spurted 23.24 percent to $4.36 billion from $3.54 billion in November 2015 and $3.50 billion in October this year. The November spike was widely believed to be rise in gold purchases in the initial days of demonetization. Export of engineering goods grew 19.89 percent to $5.84 billion from $4.87 billion in December 2015. Reflecting the increase in crude oil prices as a result of OPEC output cut agreement on November 30 last year, oil imports increased 14.6 percent to $7.64 billion in December 2016 as against $6.67 billion in December 2015. Non-oil imports fell 2.98 percent YoY to $26.60 billion. 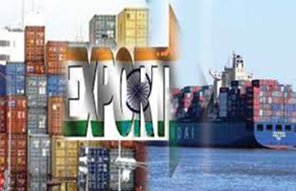 Among the 30 export items (categories), 19 registered moderate to significant rise, year-on-year. Gems and jewellery sector registered 27.86 percent growth to $3.15 billion. This is the last monthly trade data to be released before the presentation of Budget 2017 by finance minister Shri Arun Jaitley on February 1, 2017. December was hit in a big way as revealed by the PMI surveys for services and manufacturing, though the government cited tax collection figures to counter the data. For the nine-month period ended in December 2016, exports rose 0.75 percent YoY to $198.8 billion while imports fell 7.42 percent YoY to $275.35 billion, resulting in trade deficit of $76.5 billion. The provisional trade data was released by the Indian government on January 13, 2017. A weak global economy has hit India’s exports hard in the past few months. 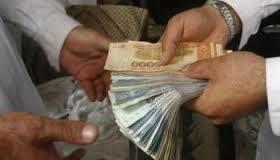 Exports account for about a fifth of the country’s gross domestic product.